Housing and Urban Development Secretary Ben Carson has called for an independent review following a Washington Post report that he allowed his son to help organize a "listening tour" in Baltimore last year. According to the report, the tour was organized against objections from HUD lawyers, who said he could run afoul of federal ethics rules. The Post, citing internal documents and people familiar with the matter, claimed HUD officials raised concerns days before Ben Carson Jr., and the secretary's daughter-in-law were to invite people with whom they might have business dealings. HUD's deputy general counsel, Linda M. Cruciani, said in a memo the Post obtained through the Freedom of Information Act that she expressed concern the secretary "may be using his position for his son's private gain." 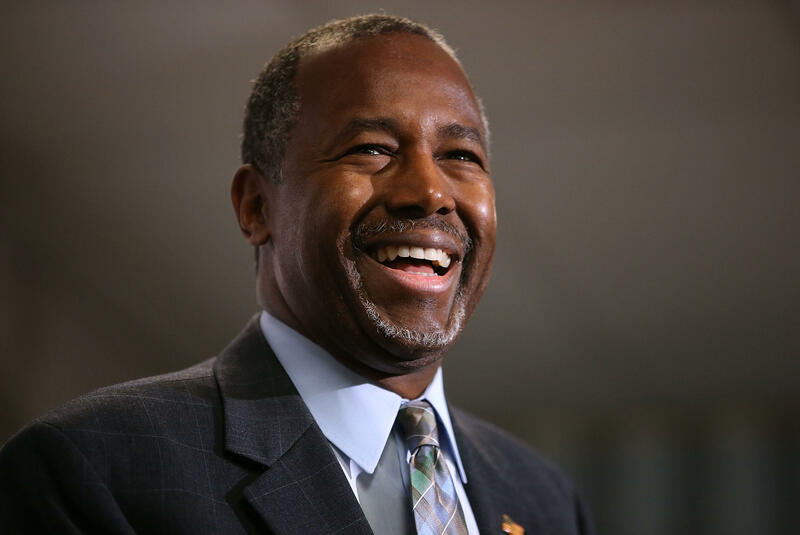 Ben Carson says poverty is about a "state of mind"
Carson, in a statement issued Thursday calling for the HUD inspector general review, said he was merely trying to be as inclusive as possible, saying, "no rock should remain unturned." "My goal in Baltimore was to listen and help the people of Baltimore have access to safe affordable housing," the secretary said in a brief statement. "In my role as HUD secretary, I try to be as inclusive as possible and talk with a wide variety of people because when it comes to increasing access to affordable housing, no rock should remain unturned. From my very first day at HUD I have insisted that HUD operate in an open and ethical manner, in every way. To clear up any suspicion I am calling for the HUD inspector general to review this matter." This would not be Carson's first encounter with federal ethics questions. A government watchdog eventually cleared Carson of an alleged Hatch Act violation after he appeared with Mr. Trump at a campaign-style rally in August. The Hatch Act prohibits executive branch employees, with few exceptions, from using taxpayer resources for political purposes or advocating for or against candidates.